All of the Above: Frequently we see § 537.065 agreements being made with an insured that leads to a Bad Faith claim. We have seen a Declaratory Judgment action filed in Federal court while the plaintiff pursues a state court Equitable Garnishment. We also see Breach of Contract claims as Count I and Vexatious Refusal to Pay as Count II in the same suit. 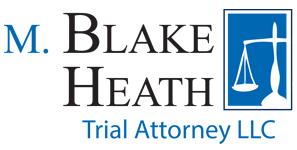 M. Blake Heath, Trial Attorney LLC believes in giving personal attention to every client. We are client-centered and responsive to needs. Our successful track record in personal injury practice, includes semi truck accidents, and product liability cases. If your insurance company denies your insurance claim following an accident, do not settle for less. Contact an experienced insurance dispute attorney at M. Blake Heath, Trial Attorney LLC in Kansas City for a free case evaluation.